Place your edible flowers into the vase and your Valentine's Day Strawberry Roses Bouquet is done! If there are any guys out there reading this post, impress your partner with these edible roses! These Valentine's Day Strawberry Roses make great table setting for a candlelit dinner too. Don't you think they set the mood right for a romantic evening? 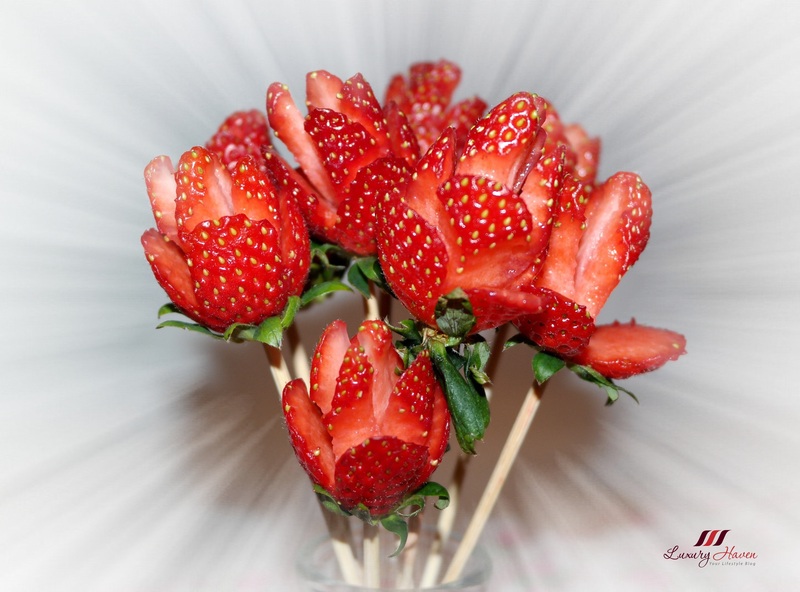 Let's check out how easy it is to make these Strawberries Roses!